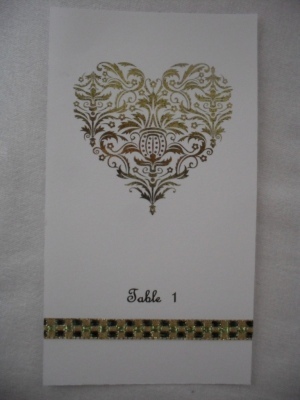 A green and gold foiled wedding table number card. Measures approx. 18.5cm x 10.5cm. A sample is available. Other matching wedding stationery is also available.